Fish doesn’t have to break the bank. Choose items that fit in your food budget (canned, frozen, or fresh), and look for sales where you shop. Farm-raised or wild-caught? No easy answer—there are good and bad versions of each. Don’t let fear of mercury stand between you and eating fish. The most commonly consumed fish and seafood selections in the United States present very little risk from contaminants like mercury while offering many health and nutrition benefits. Why do fish have mercury? 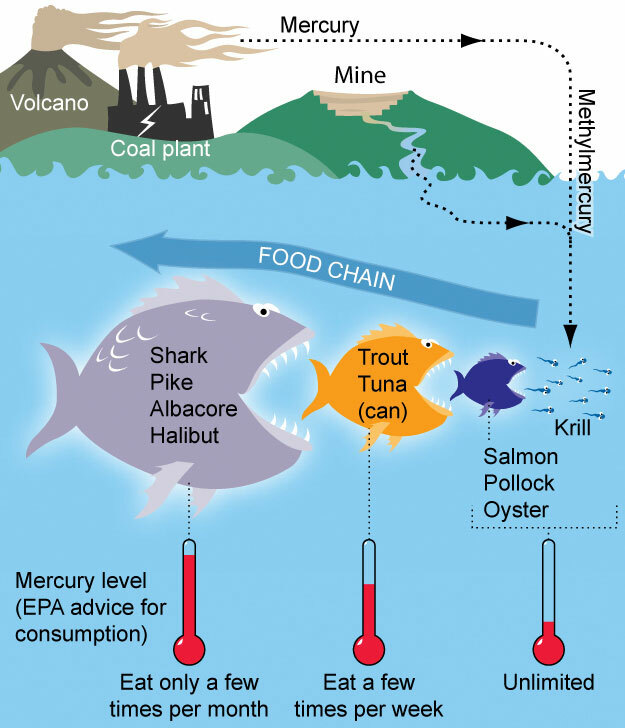 Methylmercury enters the environment and is consumed by small fish, who are consumed by larger fish, who are consumed by even larger fish. This is called bio-accumulation and results in larger fish having larger amounts of mercury. Pregnant women and small children should eat a variety of low-mercury fish each week and avoid fish that are high in mercury, raw, or partially cooked. For more information, visit www.fda.gov/Food/ResourcesForYou/Consumers/ucm393070.htm.